The Ministry of Information and Broadcasting, which organised the discussion, also released 10 books for children. NEW DELHI: A discussion on ‘Children’s Literature and Young Readers Trapped in Electronic Gadgets’ at the World Book Fair in the capital on Thursday centered on how children these days are often preoccupied with modern day gadgets, which may end up limiting their imagination. 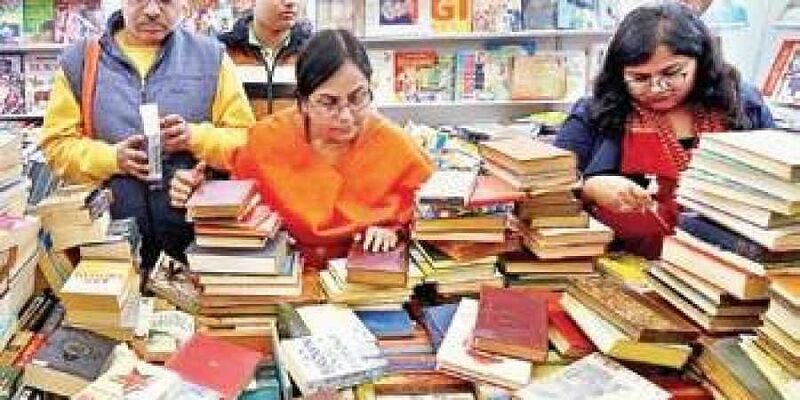 The World Book Fair, which kicked off at Pragati Maidan on January 5, will go on till January 13. The publications division of the ministry organised the discussion. The panelists also highlighted the importance of books and their impact on children. They said children, these days, are often so caught up with modern day gadgets that they lose interest in books. That, by extension, might even impair their intellectual growth, they said. They said that while technology limits a child’s imagination by presenting a fixed set of images, books magnify the imagination manifold by letting a child visualise of the world that he or she is reading about. The books released during the panel discussion were Saral Panchatantra Part I, Children’s Vivekananda, Children’s Mahabharat in English, Shekhawati Ki Lok Sanskriti, Hamare Samay me Upanishad, Haar Ki Khushi, Maa Ka Janamdin, Bapu ki Vani, Ved Gatha and Bal Mahabharat in Hindi. Saral Panchatantra Part I occupies pride of place in children’s literature across the world. Originally compiled in Sanskrit, these fables teach the basic nuances of politics and governance. Panellists at the event, organised by the state Ministry of Information and Broadcasting, said children these days are mostly preoccupied with high-end gadgets , which makes them lose interest in books.